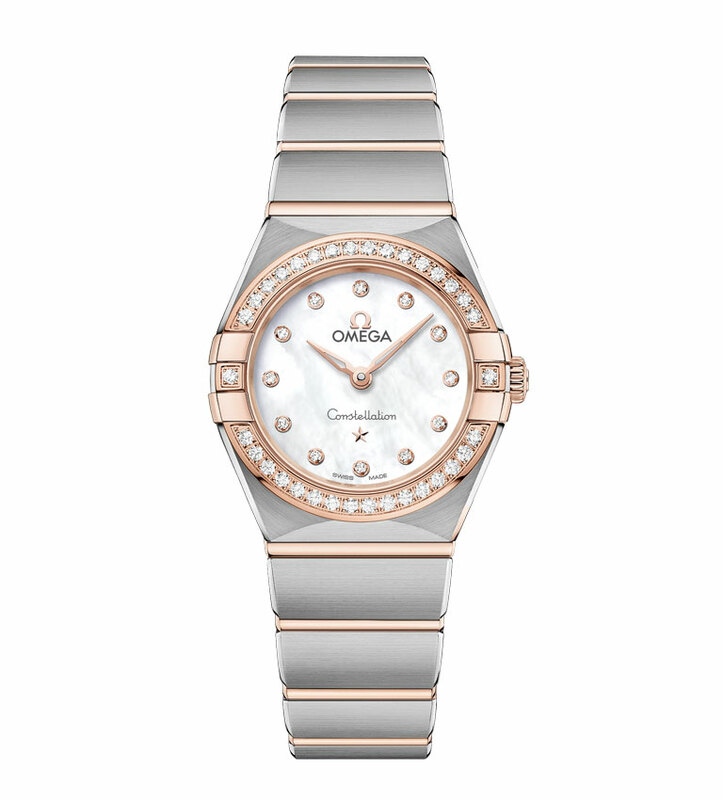 Omega Constellation Manhattan ladies collection. At Tollet, a star is born! At Tollet, a star is born and women can now enjoy beautiful stellar experiences ! What does it take to have a stellar presence? To exude beauty, charm and elegance. You too can be a star thanks to a collection of timepieces designed for women of all generations: the Omega Constellation Manhattan Lady. Cindy Crawford, Nicole Kidman, Alessandra Ambrosio and Liu Shishi have already chosen to be the ambassadors of this new collection. To join this stellar line-up all you have to do is choose your favourite model from our selection that you will find below. 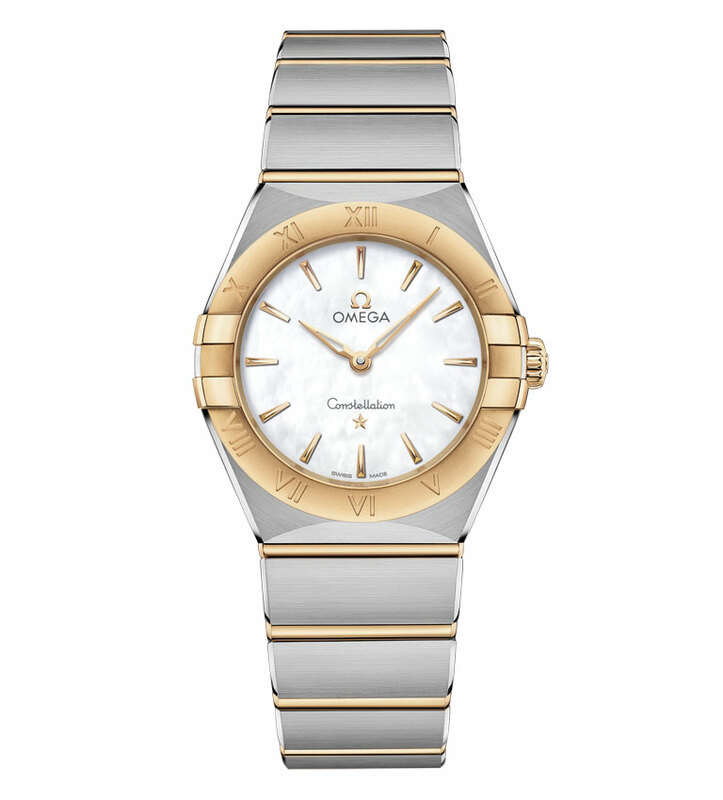 The name and metallic allure were first conceived in 1952, inspired by the stars of the celestial vault. They offered a notion of precision that was desirable to women. Begone the Fifties! 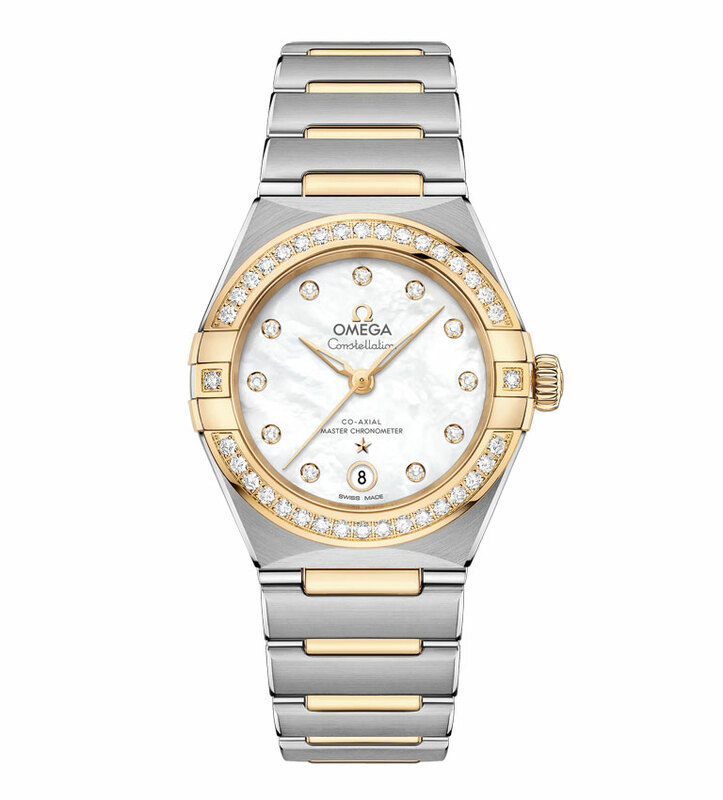 Today in 2019, Omega continues to perpetuate the feminine appeal of the Constellation Manhattan! The modern re-interpretation comes in an impressive array of styles and a myriad of details to explore in 3 different sizes: 29 mm, 28 mm, 25 mm. They are immediately recognisable even though they have been completely redesigned because respect for the brand was one of compulsory codes. The famous trademark ‘claw’ is now finer and sculpted in polished bevelled angles. They create a magnificent contrast with the matt surfaces! The bezels are also more refined, with Roman numerals and inset with diamonds. 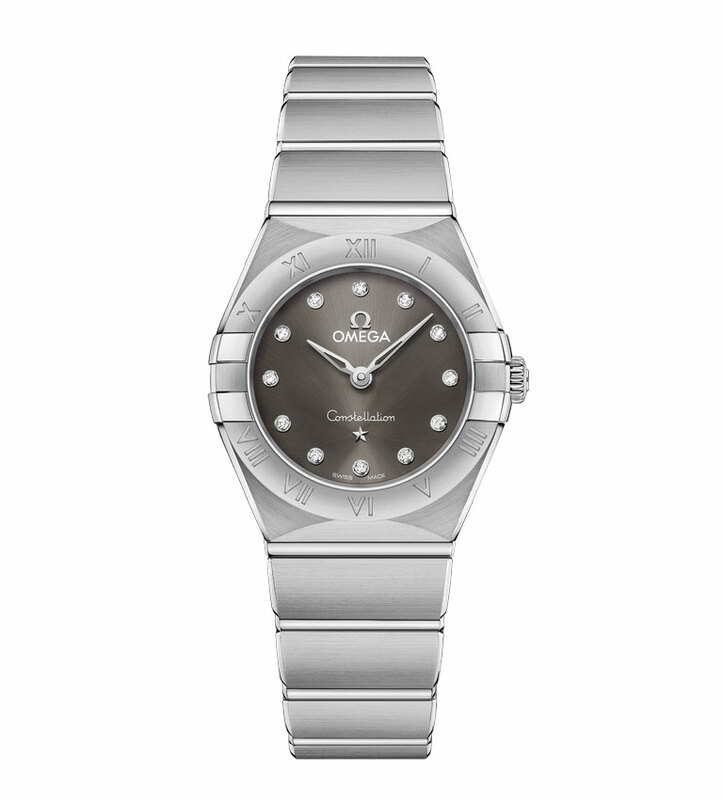 The combination with the famous mono-rang metallic bracelet is a great success. 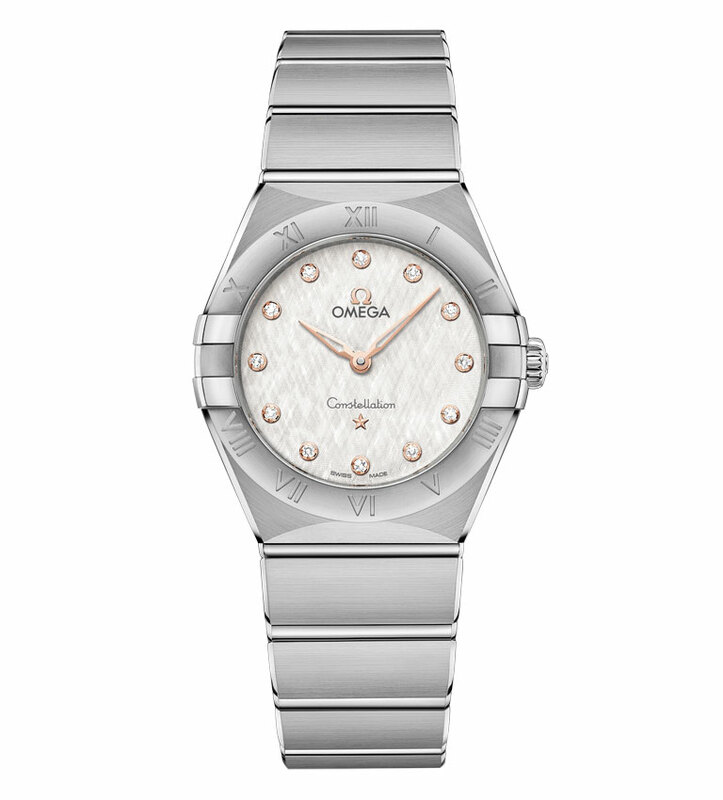 Each dial above which the ultra-light skeletonized-leaf hands pass is more beautiful than the next: white mother-of-pearl, stamped patterns, sun-brushed colours, crystal white silvery, etc. Stainless steel on its own or in a duo with yellow gold or 18-carat SednaTM gold, diamond indexes and bracelets inspired by the sky-scrapes of New York, adjustable and with safety latches, the teeth of the crown delicately worked into half-moon shapes. Each and every detail has been analysed to ensure that they all perform their role to perfection. 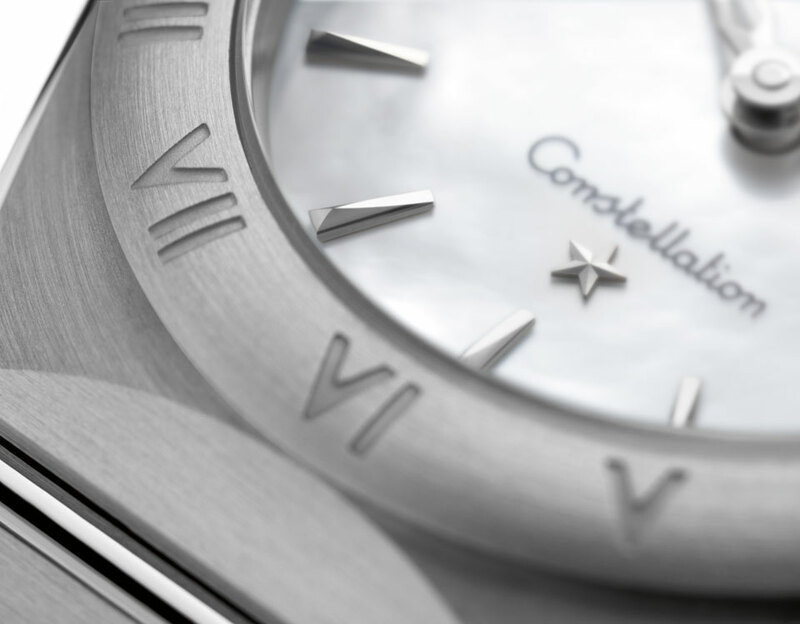 To enhance the classic and iconic elegance of the Manhattan Constellation – tick! To gracefully accentuate its allure as a piece of jewellery: Tick. To improve the aspect of comfort: Tick! 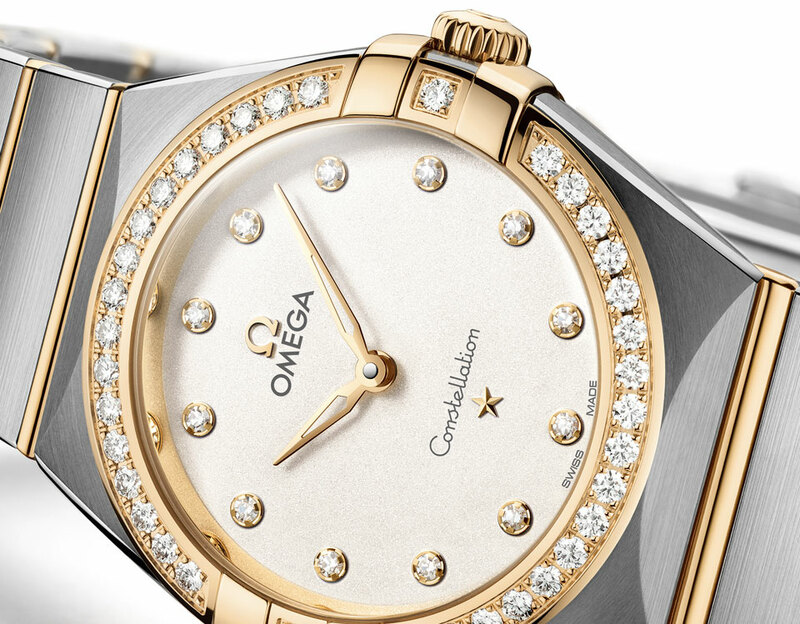 The collection has also been given additional luxury enhancements: hands, Omega logo, Constellation star, the numerals and diamond bezels are almost all crafted in 18K gold. 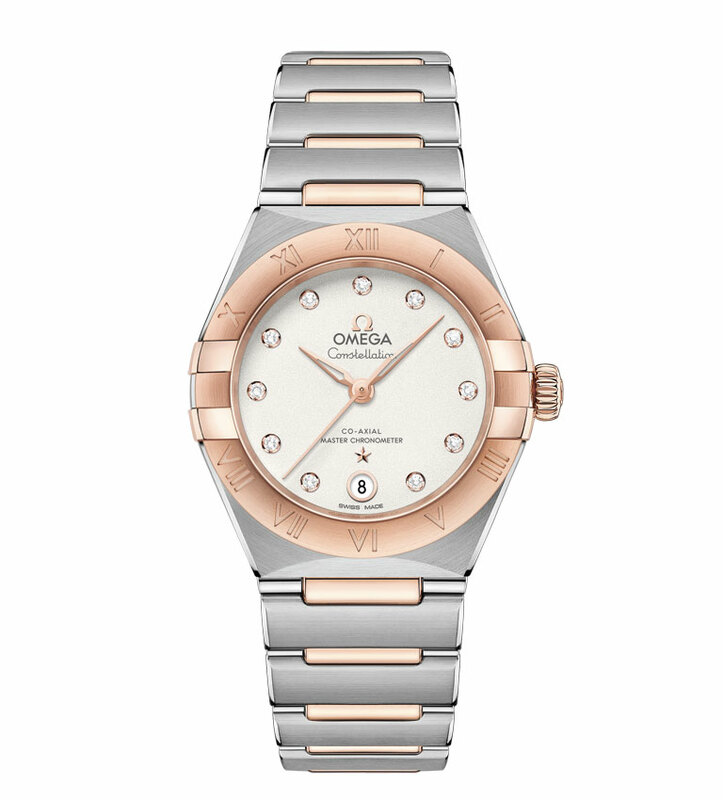 At the heart of these 29 mm models is the precious Omega Co-Axial movement with Master Chronometer Caliber. This is your guarantee of a level of precision, performance and magnetic resistance that is unparalleled in the world of watchmaking. Date window at the 6 o’clock position and automatic winding mechanism that can be admired via the back through a domed scratch-resistant sapphire crystal. 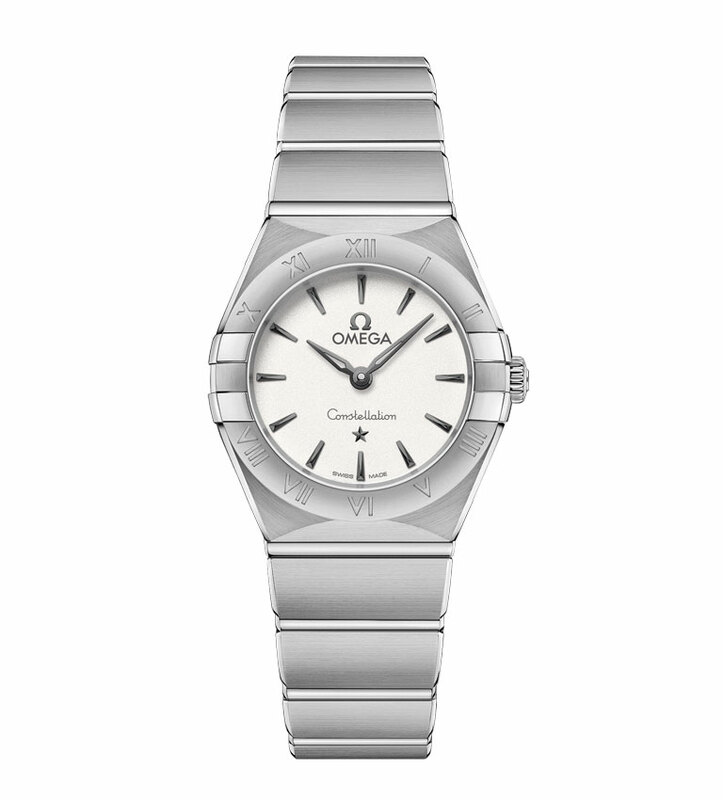 All of the 28 mm models house a Swiss Made Omega quartz movement. On the back of the case, the famous Observatory medallion. This is the hallmark of the impressive achievement of Omega in terms of world records and annual precision competitions. The spare and timeless style of Omega also works exceptionally well with the range of smaller watches. The back of the case, stamped with the Observatory medallion, conceals an Omega quartz caliber. A warm welcome awaits you from our specialists in the Tollet store of your choice! 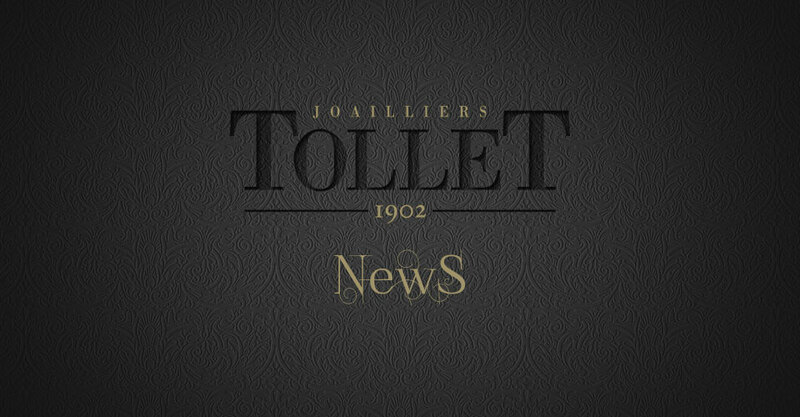 Be the first to receive the latest news about TOLLET. I would like to receive all the latest news about Tollet. When you tick the box above, you accept that the email address extracted from this form will be used and processed according to our data protection policy [ https://www.tollet.com/en/privacy-policy/ ], to enable you to receive the latest news from Tollet. We will NEVER pass on your personal information to third parties for commercial ends.